I have a husband who won’t let me get near the dishes lately. There are always a lot of dishes here, a lot, always. His reasons are clearly excuses. In 31 years, we have not had Fight One over who works harder, whether he should help with the housework, or whose job it is to iron his clothes, mow the lawn or put the kids to bed. But it’s certainly not because we’re above such things. We don’t do 50/50 here. Did other people speak wedding vows which assigned domestic duties, and which spouse was going to be the primary breadwinner? Because to hear some people complain about the sorry thing called marriage, you would think that in their vows, they promised to model Ozzie and Harriet in their suburban 1950’s home. And they don’t want to, so away with marriage, that obsolete patriarchal engine of oppression. We didn’t sign a contract outlining household duties or role requirements when we got married. We didn’t confuse our wedding vows with societal expectations or TV sitcoms. What we vowed may have been a slight variation on these words, I don’t remember. We knew what we were promising. Notice that we both vowed the same things. There wasn’t the Housewife Version and the King of the Castle Version. You’ll also notice that these vows are not limiting, but rather open-ended, except as to duration–until death. We were promising to love, to comfort, to be faithful. We were not promising the nuts and bolts, the how we would achieve these abstract states of existence. We were promising to live the rest of our lives committed to and committing to one relationship. A relationship has the potential to grow and expand, and to build toward almost infinite intimacy. To live under a contract would reduce our love to a pre-ordained set of boundaries. During my tenure as a parent, I’ve been advised by persons who are over The Age of Eighteen, that I ought not to tell adults what to do. All the advice-granters in the world would tell me to say: OK, you’re an adult now, so I’m not allowed to tell you what to do. In return, I give up caring whether you get yourself up for church, school or work. It’s your business and I’m not going to help you anymore. You’re not my responsibility. There is certainly truth in there. My role as a Mom changes as my child matures and I do have to increasingly step back and let him make decisions, and let him live with the way those decisions play out. I’m fine with Mr. Experience teaching her the responsibilities of adulthood. And I’m not above feeling a tiny bit of pleasure when an “I told you so” would be a legally appropriate thing to say. But relationships are not contracts. A contract spells out what I am, and am not, responsible for. Beyond the requirements of a contract one does not go. A contract limits my actions. When we had a young teenager who was self-willed and apparently in danger of going off the rails, the going advice was to put the relationship under contract. This is what’s expected of you, Teenager. And if you commit these crimes, here is a handy list of the corresponding consequences. Now you know what to expect. It was an invitation not to be resisted. And because our children are creative people, it was unresisted very creatively. There was no instance in which he/she committed Offense X and therefore was liable for Consequence X. It was never that simple. Because they don’t just want to do X and get away with it; the goal is to confound your attempts to be the authority in the first place. They want to mess with you. It’s all about the relationship, and the rebellious child knows that better than you do. Contracts and legal agreements reduce a relationship to that which is spelled out therein. Do we really want our family relationships lived via contractual agreement? “Above all, love each other deeply, because love covers over a multitude of sins.” I Peter 4:8. Relationships with human beings are infinitely more binding than legal agreements. We are accountable to love one another. To act on their behalf toward their good, even and especially when they aren’t able to appreciate the help, even and especially when we don’t think we have the strength to do it, even and especially when we feel like doing the opposite. I want to relate to people in my life according to love and grace, not according to a reductive contractual agreement. At times, I must borrow heavily from an inexhaustible Source to fulfill my part. I give the Adult a wake-up call because I know he has trouble hearing his alarm, on the morning after receiving the caution not to tell the Adult he should go to bed. Or go pick her up when she didn’t plan for the ride home. Overlook irritating and irritated talk. Dive in to thankless tasks. Really act as though the person is truly loved, and you couldn’t live without her, because it’s true. And isn’t the debate over complementarian (no, it’s not in my spellcheck vocabulary either) vs. egalitarian marriage really a hyper-focus on this very thing? They can’t get their eyes off of that simplistically reductive 50/50. The change agents are so proud of their enlightened egalitarian marriages. They’ve given us something new, something never seen before in the long millennia of human history: men and women, equal in marriage! Hey, congrats and thanks, guys! Submit to one another out of reverence for Christ. Ephesians 5:21. Settle what job is whose, for goodness sake, and move on. Of course when you have just now thrown away: what women are, what men are, and what you are; and you confuse Ward and June Clever with millennia-old Scriptural teaching, it makes for a little tiny bit of confusion. If you’re going to set out to right societal wrongs, it would be best to get an understanding of the issue all the way down to its foundations. My husband does the dishes lately without explanation. He fends me off and tells me to go relax. After working all day and then chauffeuring for awhile, then going to a meeting, after working on his own writing, before going to bed much too late and getting up much too early. It’s not because he’s invented a brand new kind of marriage. It’s not because he’s heard on Christian radio that husbands doing housework get rewarded in the bedroom. He has nothing to prove and no secret agenda. He just understands what he promised. This entry was posted in Best Posts, Everyday Apologetics, Home, Marriage, Nonfeminism, Passing the Torch, Relationship and tagged complementarian, complementary, egalitarian, husbands, kindness, love, Marriage, marriage expectations, relationship on October 21, 2014 by madblog. It’s so refreshing to hear a woman spontaneously praise her husband. That’s because it’s extremely rare. Even those women who genuinely admire their husbands feel a bit embarrassed to speak up. It’s just so counter-cultural. I’m supposed to be a bit disapproving about some aspect of my husband’s behavior, and I’m expected to share it with a laugh or a roll of my eyes. Otherwise I’m a vapid Stepford Wife. Our culture is saturated with this attitude. It’s even parroted in our churches. You don’t need me to rehash the many ways we belittle men in our world. Did you manage to miss the Facebook memes today about the superior intelligence of wives, or was it about the selfish stupidity of husbands? That new joke? I’m still laughing. Actually we’ve been working on the humiliation of men for a long, long time, and the origin is infinitely more unsavory. The first set of judgments from Eden predicts that the besetting sin of womankind will be to resent the place of mankind, and particularly her own mate. To lord it over him, to choose to live in a state of conflict with him. One of the ugliest things I have seen is a wife who ridicules her husband in front of others and passes it off as a joke. But it’s such a good joke, every single time, am I right? Is it ever pretty when someone makes herself look good by making someone else look bad? The one-upsmanship can take many forms. It is easy for us women to manipulate before we realize what we’re doing. Do you know why it’s easy? No resistance. Because, usually, he is gracious about it. Because when you are using your power over your husband to manipulate him, you are counting on him to treat you with grace. How does it feel to use your husband’s own kindness against him? Then there’s the compulsion, like a habit, to put him down. Sometimes it’s subtle. You may put down something he cares about, remotely, as if it’s not a personal insult. I guarantee that he knows he’s been slighted. And then there’s the outright ridicule. It’s always so funny when a woman points out that the one person in her life whom she had the option to choose is an idiot. But I don’t understand how that makes him look bad. A woman who makes jokes at the expense of her husband, or who eye-rolls or smirks while he’s talking, is missing something very fundamental about being in a marriage. More so if she believes she is part of a union comprised of herself, her husband, and Christ. Ridicule is contempt. It’s betrayal. It’s embarrassing to everyone present. It puts her to shame far more than him. I don’t know what response she receives from her man, but others who hear her jibes are inwardly wincing. The person who is looking unfavorable is not the husband. We women forget how much power we possess. We possess the power to cultivate or to poison our own sexual relationship. How emotionally close to your husband would you feel if he made it clear to all your friends that he was embarrassed by you? Would you be able to be trusting, without barriers? It’s hard to really trust someone who hurts you. That’s rather important in sexual intimacy. We possess the power to make or break a home.” The wise woman builds her house, but with her own hands the foolish one tears hers down.” Proverbs 14:1. This is exactly what a ridiculing wife is doing to her husband, her children, herself. How you value and respect your husband, or how you don’t, will become a heritage that your heirs will build upon. We have the power to make or break our society. Ladies, we set the tone, we drive the future. We rock the cradle; we teach the next generation more important things than potty-training, manners, math and reading. We teach them how to navigate and cultivate relationships, how to navigate adulthood in a hostile environment, how to become responsible adults. Whether to love or hate. Whether to take or give. Whether to value or dismiss. Whether to respect or humiliate. Whether to build or destroy. Whether to serve or use. We have all the power we dare to exert. We have power we never use. I have no patience with the supposed oppression of women in modern first-world western society. I think we’re afraid of the responsibility if we should dare to righteously use all the power God has given us. If you want to re-orient your attitude, it might be best to study up on what a man was designed to be. I suggest going to the resource written by the One who invented men. Encourage him to be a man. If he knows you support him in being who God means him to be, you will receive the true man God wants for you—and you will be amazed at who he is and what he can do. Your children for generations will be blessed. And because he is a fallible human being, he will need your support in reaching for who he is meant to be. We all need encouragement for the task to become more than we are. He has been given talents by God. Be careful not to criticize something which is an expression of his gifts. Heaven forbid that you should belittle how God has gifted him. But you are supernaturally gifted with the gifts of the Spirit, so you can do this. Treat his thoughts and opinions with seriousness and respect. Don’t only do this only outwardly. Most importantly, encourage him to lead by respecting his decisions. Give him deference and trust. I sometimes wonder why women have chosen to be in relationships with men who they are unable to respect. The best men I know are also the most graceful, meaning they treat others with grace. ( Grace= treating someone with more kindness than is deserved or necessary). They are not petty, as we women are apt to be. They humbly return kindnesses for slights. Do not abuse this awesome grace or take it for granted. Why do we fear ceding too much power to our husbands? Do we try to live down to the canards that a husband “behaves” so as not to risk his wife’s petty wrath? Your husband will not dismiss your wisdom, your opinions, your convictions, your feelings or your intuitions because he already loves you for those very things. He will value and respect your views and will be guided by your intelligence and your convictions. You need not fear submitting to a loving husband who knows your worth. You can trust his “final-word” because he is basing his decisions upon your guidance added to his own. And GOD has given him his own portion of wisdom. In trusting him with final authority, you are trusting God. What kind of a husband do you want? Do you want a man who is afraid to irritate you? Do you want one who obeys you? One who slowly learns to adapt to your spoken criticism, who learns to be what you say about him? Or do you want a MAN—a man who feels free to become all that God intends him to be? A man who respects the power structure. He answers to God, not to you. He knows who he is. A man who does what is right regardless of the reactions of the people around him is strong, admirable and noble. You can see by now that you are putting down more than your husband. Always be the kindest person in his life. Who else if not you? A marriage can endure against many threats. But no relationship can survive unkindness. The vital importance of simple kindness cannot be underestimated. Just be kind—it’s so easy to know when you are and when you are not being kind. Be kind to him at all times. Be kind when he deserves it and when he doesn’t. Be kind when it’s not necessary. There is no downside; you will receive a better relationship and more love in return, and you will have become a kinder person. You lose nothing; you gain a lot. If you still find yourself truly being embarrassed by your husband’s behavior, if you think one day that he is actually being foolish, then take a look in a mirror. You are the one person in the world who has chosen, of your own free will, to be identified with this foolish man. You have stood before witnesses to declare your willingness to be one with him. You picked him. Then have a laugh on yourself. This entry was posted in Best Posts, Home, Marriage, Passing the Torch, Relationship and tagged complementary, empathy, husbands, kindness, love, Marriage, nobility, relationship on September 12, 2014 by madblog. What does it mean? How do we obey it in real life? “It would help younger women to know there are a few listening ears when they don’t know what to do with an uncommunicative husband, a 25-pound turkey, or a two-year-old’s tantrum. It is doubtful that the Apostle Paul had in mind Bible classes or seminars or books when he spoke of teaching younger women. 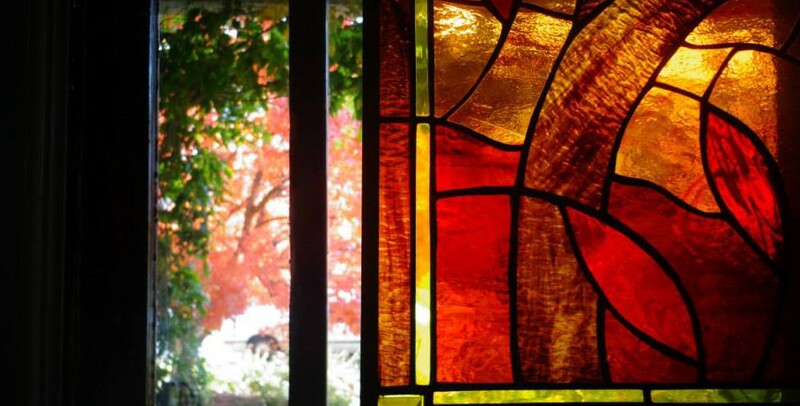 He meant the simple things, the everyday example, the willingness to take time from one’s own concerns to pray with the anxious mother, to walk with her the way of the cross—with its tremendous demands of patience, selflessness, lovingkindness—and to show her, in the ordinariness of Monday through Saturday, how to keep a quiet heart. (Elisabeth Elliot, “A Woman’s Mandate,” from Family Practice, ed. R.C. Sproul, Jr. (Phillipsbur, N.J.: P&R Publishing, 2001), p 62. I agree. It is so important that we love our sisters in Christ by serving them and working for their practical good. And mentoring relationships often begin in small acts of service. But I would like to add that we are also called to teach intellectual substance in an intentional, yet organic manner. In the same way that we are all called to share the truth of the gospel, we should be equipping ourselves and then looking for opportunities to open up so that we can walk in and teach. The reason for the hope I have as a believer is also the reason why I do what I do, and for why I live my life the way I do. Our lives ought to demonstrate what we truly believe, and in fact they do. There are foundations to be laid, premises to establish. There are also strongholds to be torn down. The world all around us is relentlessly tearing apart the family, and you, Mom. Minimizing you, calling you a myth, demoralizing you. It doesn’t seem too difficult—I shouldn’t be a malicious gossip or an alcoholic—easy! Wait. “To be reverent and to teach what is good” sets the bar pretty high. These require a singular state of mind where a woman is focused on the Lord and His call on her, day-to-day in real time. These older women had to have accomplished that which they were to teach. They had been living their faith. Having established the requirements for an older woman teacher, the text tells us what these women are to teach. Since they were to teach these things, the younger women must have needed instruction in these tasks. Don’t we still need these instructions? Do we not need reminders to consistently love our husbands? Is it natural to love when we feel it, or to love consistently? Do we not need some accountability to stay pure in our current culture? Are we human beings prone to laziness and carelessness? Do we not need encouragement to make our houses into homes? Do we need someone to share with us a vision for cultivating our homes and families? Are we always kind? Do we tend to serve ourselves? Do we need encouragement to be subject to our husbands? Do we need to understand why that makes sense, in contrast to the culture we live in? Don’t we need the example of women who are joyfully submissive while freely sharing their gifts for the benefit of their families? And finally, do we need reminders every minute that we are constantly representing God in this world? The ultimate object is that God would not be maligned. How we represent God is of ultimate importance. It’s always about Him. Prepare to give a reason for why you live the way you do. Be ready to share your hard-won insights on cultivating relationships within your family; on how and why to live on your husband’s income; on why you have adopted Biblical roles in your marriage; on discipling your children consistently; on how you teach your children not to conform to this culture. You are a wellspring of philosophical support and encouragement. You can live Titus 2. I say we get busy. This entry was posted in Everyday Apologetics, Home, Marriage, Nonfeminism, Passing the Torch, Relationship and tagged children, disciple, faith, Family, husbands, living, love, mentor, model, teach, Titus 2, wives on February 17, 2014 by madblog.